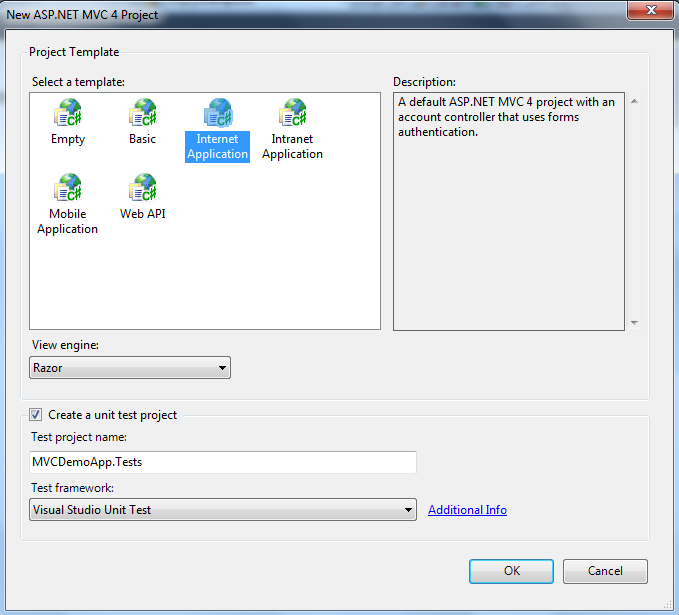 we will make a sample application using Asp.Net MVC4. Open Visual Studio 2010, then go to File -> New Project. This will open the New Project dialog box. From there make sure .Net Framework 4 is selected. 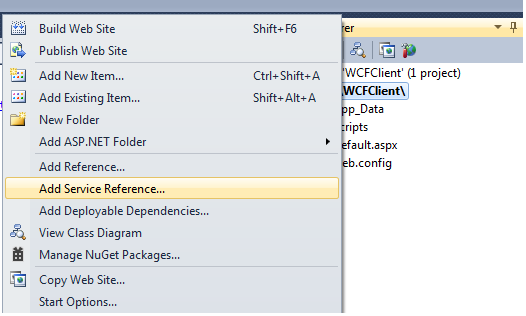 Then select the Visual C# -> Web templates list. From the web template lists, Select ASP.NET MVC 4 Web Application and give a name. Mainly there are 3 things in OOPs concept. 1- Inheritance 2- Abstraction 3- Polimorphism Inheritance is one of the key feature of oops concept and C# supports inheritance. Inheritance is a process of deriving the new class from already existing class. It allows you to reuse existing code. MVVM is nothing but Model view and viewModel.This is the best architecture for WPF. VIEW: A View is defined in XAML and should not have any logic in the code-behind. It binds to the view-model by only using data binding. The View contains the visual controls that will be shown to the user.This is the UI. We will discuss how to create a WCF service and how we can consume the WCF service. Open Visual Studio 2010, then go to File -> New -> Project. Then from the New Project dialog box, From the Installed Templates Select WCF from the left hand site, And then Choose WCF Service Library and Give a proper name and Click on OK.
How to call button click event on press enter key in asp.net? In this asp.net blog we will discuss how we can set default submit button on enter key in asp.net web application. If I will give an real world example, here I have a textbox and a search button. I want to make the search button as default button, so that when user put something in the search textbox and press enter then the button click code should execute. In some other cases you might noticed that, in most of the modern web sites, there will be a search textbox but there will be no button. User just needs to press enter. Here we will see how we can achieve both the things in asp.net web sites. Now when I run the asp.net web site and write something in the search textbox and press enter, it will execute the button click code and will display like below. - How to to show or hide textbox based on checkbox using jQuery in asp.net? Hope this asp.net article may be will helpful. 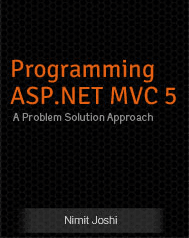 You can download Programming ASP.NET MVC 5 from below link. If you want to learn asp.net mvc step by step then there is a asp.net mvc free pdf book available from TutorialsPoint.com. This book provides a hands-on approach to the subject with step-by-step program examples that will assist you to learn asp.net mvc. If you are a beginners to asp.net and want to learn asp.net step by step then you can read from a asp.net pdf book provided by TutorialsPoint.com. They have explained clearly step by step and covered almost all the topics of asp.net with C#.Net. 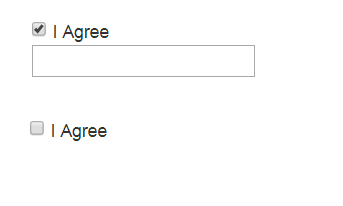 How to to show or hide textbox based on checkbox using jQuery in asp.net? In this post we will discuss how we can show or hide texbox based on checkbox using jQuery in asp.net. 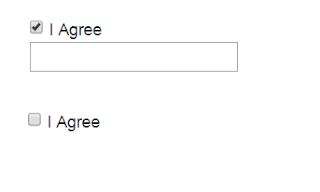 Here we have used a textbox, one checkbox. On checkbox checked or unchecked we are going to hide a textbox. On Check box checked or unchecked the textbox will be show or hidden. How to check if checkbox is checked using jQuery in Asp.Net? In this post we will discuss how we can check if checkbox is checked or not using jQuery in asp.net. For this particular example, I have added an input check box and a button, and on the button click we are going to display if the checkbox is checked or not. Once you click on the button, you can see it will display checked if the checkbox is checked. - How to get substring from string using jQuery in asp.net?